South Korea's annual spending for the upkeep of the US Forces Korea appears to be greater than what Japan pays for the American troop presence on its soil, a government researcher said Thursday. Yu Jun-hyung, associate research fellow at the state-run Korea Institute for Defense Analyses, released the analysis as Seoul and Washington are in talks over the former's share of the cost for maintaining some 28,500 US troops here as a deterrent against the North's aggression. He put Seoul's expenditure for the USFK in 2015 at some 5.4 trillion won ($5 billion), with Tokyo's spending around 6.77 trillion won. But Seoul shouldered a greater cost given that the American troop number in Japan was more than double that in the South in 2015. "Given the total number of troops, South Korea pays more in all spending categories than Japan to support the US forces," he said during a forum organized by Rep. Kim Kyung-hyup of the ruling Democratic Party. Seoul has provided financial and other support under the Special Measures Agreement since 1991. Seoul's contribution increased to around 960 billion won in 2018 from 150 billion won in 1991, officials said. 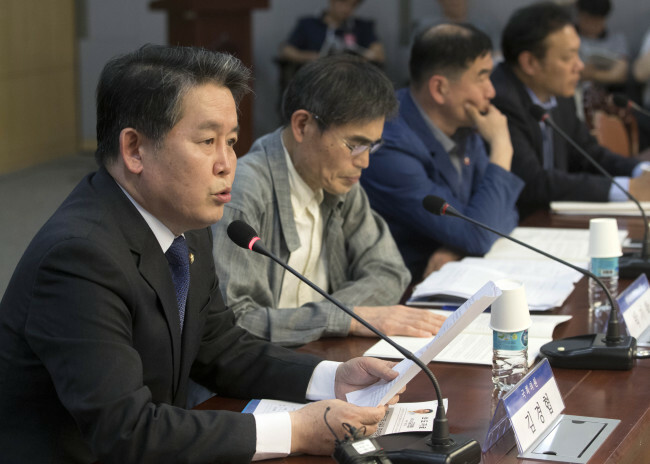 Yun explained that aside from its SMA contribution worth 932 billion won in 2015, Seoul provided "direct and indirect" support for the USFK, including tax reductions or exemptions, utilities, support for base relocations and free provision of land. Seoul's defense ministry plans to include such data in its biennial defense white paper to be released later this year, the researcher said. Noting that Seoul's burden-sharing cost for the US troops is among the world's largest, Rep. Kim stressed the need to accurately evaluate Korea's contribution to maintaining its alliance with the United States. "South Korea is among the largest importers of US weapons and has shouldered the cost for dispatching troops overseas," he said. "It is improper should (the US) demand Seoul pay for its temporary deployment of strategic military assets."